BARACK OBAMA AND STEVENSON CIGARETTES. Baltimore in 1956. The first presidential election that I can remember was the 1956 campaign between Dwight Eisenhower and Adlai Stevenson. I was living in Baltimore at the time, and Baltimore was a segregated city. Maryland was a slave state. Public parks, swimming pools, restrooms, water fountains, and schools were all segregated; and the best were for whites only. New textbooks were sent to white public schools. The old worn-out textbooks were then sent to "colored" schools. My mother was a public school teacher in Baltimore, and she used to complain about this practice frequently. It seemed to really annoy her. "Help Wanted" ads in the Baltimore Sun, the city's principal newspaper, often contained the words "Whites only" as did ads in the "Apartments for Rent" section. No Jews. A lot of ads in the Sun also contained the words "Christians only." That was considered a 'polite' way of saying "No Jews allowed." Some ads contained the word "Restricted," which was considered an even more polite way of saying "No Jews allowed." Many businesses and social organizations made applicants sign a form stating that they were Christians. These businesses and organizations didn't care if applicants went to church or even if they believed in God. They just wanted to make sure that the applicants weren't Jews. My Uncle Sidney was a Freemason, but in order to join the Masons, he had to go to Washington, D.C. to be admitted. The Baltimore Masonic Temple required applicants to take an oath swearing that they were Christians. That wasn't required in D.C.
Read's Drug Stores. Read's was Baltimore's largest drug store chain. Most Read's drug stores had lunch counters. I ate there often. Read's served typical lunch counter fare, except for one item, Ammonia Coke. For 5 cents, you could get a glass of Coca Cola with spirits of ammonia in it. I never understood the appeal of this dreadful concoction. Whenever I saw somebody order an Ammonia Coke, I would look at them and think: "Why are you doing this?" My Aunt Bessie, an otherwise sensible woman, used to drink Ammonia Cokes. Some people thought Ammonia Coke cured headaches. Other people thought it settled an upset stomach. In fact, Ammonia Coke had no medicinal value at all. I think people drank Ammonia Coke because they assumed that since it smelled and tasted so bad, it must cure something. Seating at Read's lunch counters was for whites only. Black people had to get their food to-go, and they had to wait for it standing up. When the Read's drug store at Howard and Lexington Streets, the center of Baltimore's downtown shopping district, finally did allow black people to eat food at the lunch counter, they were served their food on paper plates and their Cokes in cardboard cups. White people were served their food on china plates and their Cokes in glasses. In 1955, and under pressure, Read's finally desegregated their lunch counters. Stevenson Cigarettes. On election night last month, when I heard that Obama had won, it made me think of Stevenson Cigarettes, something that I had not thought about in many years. 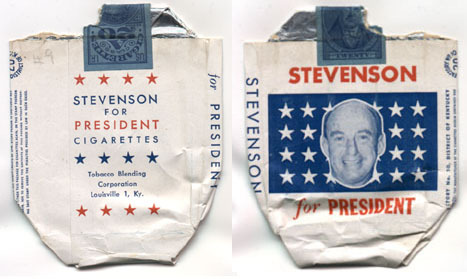 During the 1956 presidential campaign, high school students in Baltimore who did volunteer work for the Democratic Party were rewarded with packs of Stevenson Cigarettes. The more hours they worked, the more cigarettes they got. I knew a boy who did a lot of volunteer work for the party and got 30 packs of Stevenson Cigarettes. Can you imagine what would happen today if a presidential candidate paid his teenage campaign workers with packages of cigarettes with his picture on the label?! This is just one small example of how radically our national values have changed in my lifetime. And what were the Republicans doing in 1956? They were giving their campaign workers Eisenhower Cigarettes, of course. Both brands of cigarettes came out of the same factory and were identical except for the labels. On February 17, 2009; television broadcasting in the U.S. will switch from analog to 100% digital. A lot of old TVs will cease to work after that date. To learn how to obtain and install a digital conversion kit, go to: Digital Conversion (This video is worth watching even if you don't need a conversion kit.) Some old TVs are not worth saving, but what do you do with them? It is illegal in California and most other states to put a TV in your trash can. They are considered toxic waste, and you can be fined if garbage collectors find one in your trash can. Fortunately, Alameda County Computer Resource Center is located here in Berkeley. They will accept televisions, computers, printers, and nearly anything else that can be plugged into an electrical socket for free disposal. THE LINCOLN LOG CABIN HOAX. Warning: You may wish to skip the following article if you are a Republican. The Lincoln log cabin is the G.O.P. 's most revered symbol. I have told this story many times over the years, and it almost always irritates Republicans. The Lincoln log cabin. New pennies will begin circulating in February 2009 to coincide with the 200th birthday of Abraham Lincoln. 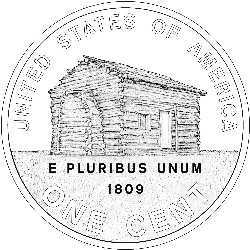 The new pennies will depict the Lincoln Birthplace Cabin on the reverse side of the coin. The Lincoln Birthplace Cabin is located in Hogdenville, Kentucky and is maintained by the U.S. Park Service. It is one of the most popular and most visited sites in the Park Service system. Unfortunately, the cabin is a fake. It was built as a tourist attraction many years after Lincoln's death by a couple of con men. Core samples taken from the principal logs in the cabin show that the trees that this cabin was constructed from were cut down in the 1880s. Abraham Lincoln died in 1865. The U.S. Park Service acknowledges that the Lincoln Birthplace Cabin is a fake. You can find out more about the history of this hoax this at the Park Service's own web site at: U.S. Park Service. The house that Abraham Lincoln was born in was destroyed long before Lincoln became famous, and nobody knows what it looked like. Abraham Lincoln was not poor. Abraham Lincoln promoted the idea all through his political career that he grew up in poverty and worked as a rail splitter. In fact, Abraham Lincoln was a high-priced and wealthy corporate lawyer. He represented banks and insurance companies, and he was the chief legal counsel for the Illinois Central Railroad. His wife, Mary Todd Lincoln, was a wealthy woman in her own right. She was the daughter of a prominent Southern plantation owner, and her family owned hundreds of slaves. Abraham Lincoln was never poor. His father, Thomas Lincoln, owned several farms. He had employees and servants and was one of the wealthiest men in his community. Abraham Lincoln was a shrewd and ambitious politician. He knew that he had to "massage the facts" about his background and his wealth in order to get elected. He was very successful at this. Even today, most Americans think that Abraham Lincoln was poor. North Korea. The log cabin myth is still alive! Kim Jong Il, the dictator of North Korea claims that he was born a log cabin on a mountain in North Korea in 1942. In fact, he was born on a Soviet army base in Siberia. According to North Korean school textbooks, on the night Kim Jong Il was born: "There were flashes of lightning and thunder in the sky, an iceberg in a pond near the log cabin emitted a mysterious sound as it broke apart, a double rainbow rose up, and a luminescent star appeared in the sky. Then a swallow descended from heaven to herald the birth of a general who will rule all the world." Gee! What an ego! All this story needs is 3 Wise Men bearing gifts. 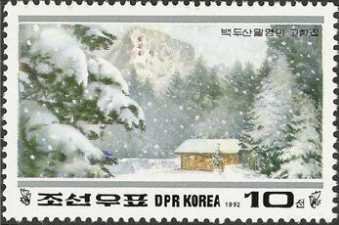 To the right is a picture of a North Korean postage stamp that shows the mythical Kim Jong Il birthplace log cabin. Before I pick up my telephone when it rings, I check the Caller ID screen first. If the screen does not identify the name of the caller and his phone number, I don't answer the phone. If you want to talk to me, please be sure that you are not calling me from a telephone that is going to tell me that the call is from: "Private Caller," "Out of Area," or "Blocked Number." Can I Talk to You Privately? In 2000, I rented an apartment on McAuley Street in Oakland. I only had one showing. Over 100 people showed up, and 30 of them filled out Application Forms. People had to wait in a line that snaked down the hall in order to hand in their applications and talk to me. It was the height of the dot-com boom, and this sort of thing wasn't unusual in those days. One of the first people to turn in an application was a timid young man. After he handed me his application, he said: "Can I talk to you privately?" I said: "Sure, but you'd have to wait for all these people to leave, and that could take a while." He said: "That's OK. I'll wait." He then sat down on the couch and patiently waited for everyone to go. 30 minutes later, I turned to this young man and said: "Well, everyone is gone now. I'm sorry you had to wait so long." Looking embarrassed, he said: "There is something I wanted to tell you, but I just couldn't say it in front of all those people. I know you got a lot of applications for this apartment, but I really hope that you'll rent this place to me. I like this apartment a lot, and I'm being nice, and this is very hard for me because (then shaking his head) because.....I....hate....landlords. I'm sorry. It's nothing personal. Its just - that's how I feel. I hope you'll consider how hard this is for me when you make your decision." I was speechless, which is unusual for me! After thinking it over, I told this young man that I would consider what he had just said, and I did! I decided to rent the apartment to someone else, someone who didn't find it quite so hard to be nice. Turtles and Toffee. Every December, I make boxed turtles and English toffee, one box per tenant. Its probably the most popular item I make, but they are too much work to give away all year long.